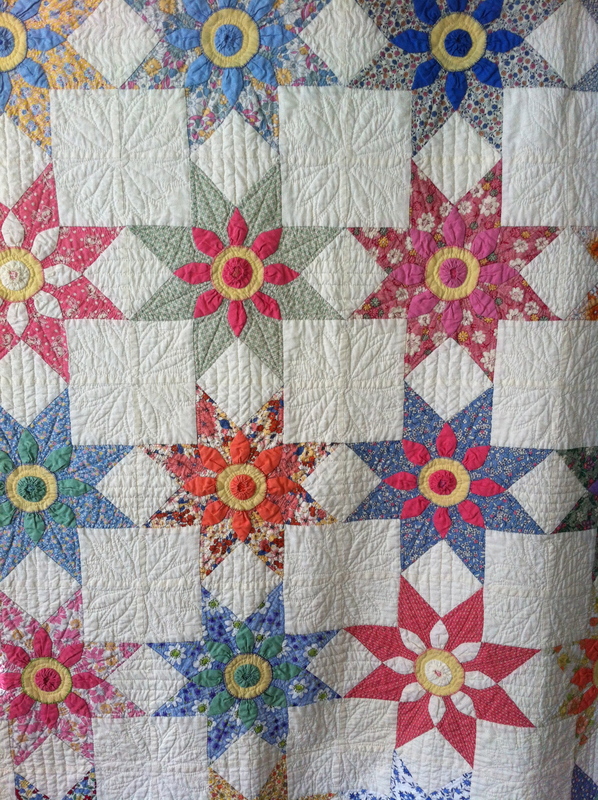 Star Designs are one of the most numerous and splendid of all quilt patterns. 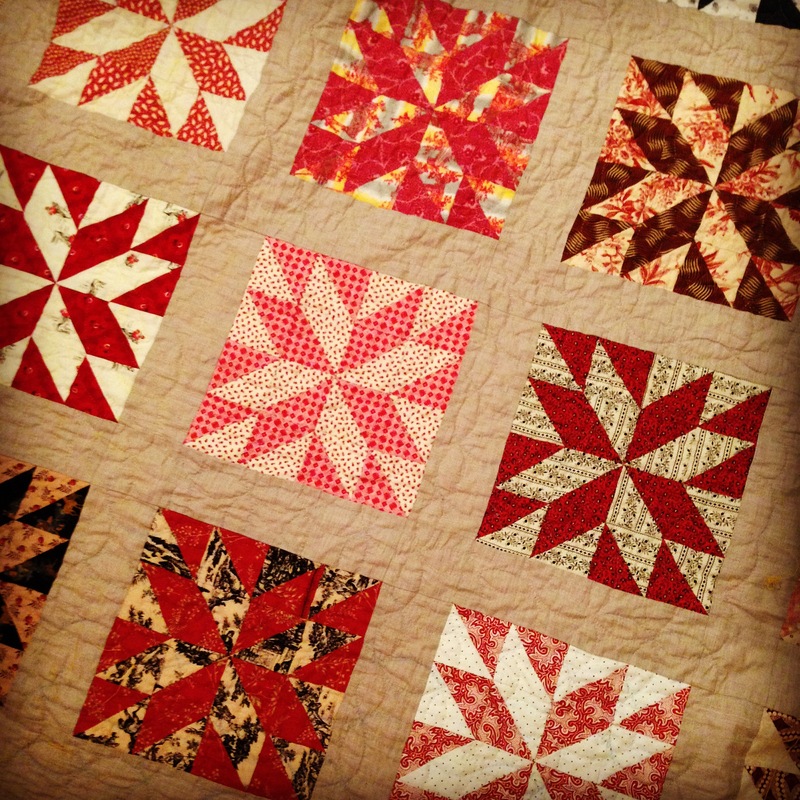 If you only made quilts featuring Stars you would have many beautiful quilts. 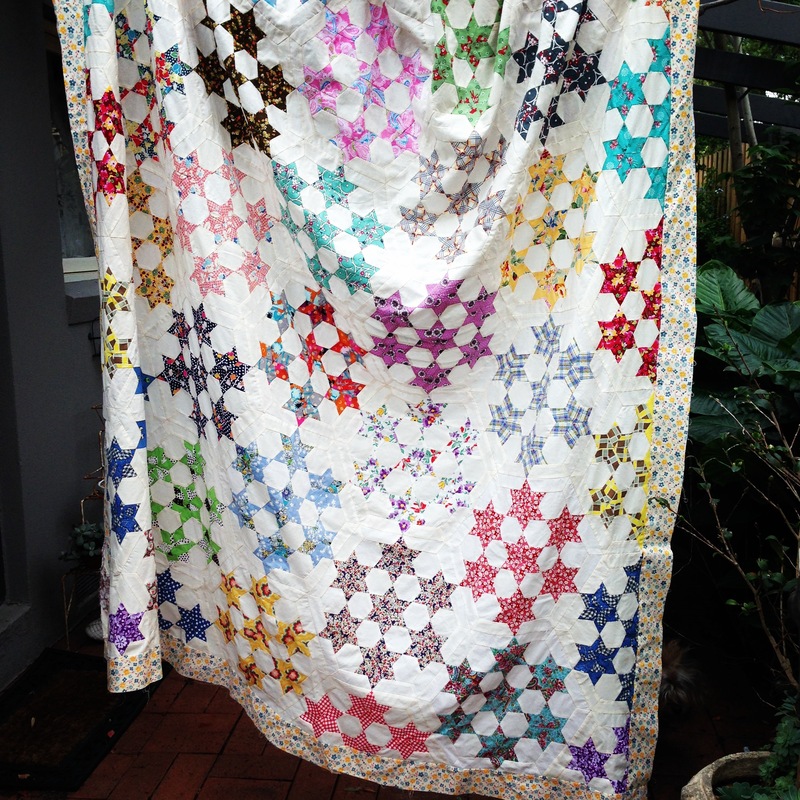 The Variable Star quilt top is a recent purchase from my friends and quilt collectors The Donnellys. 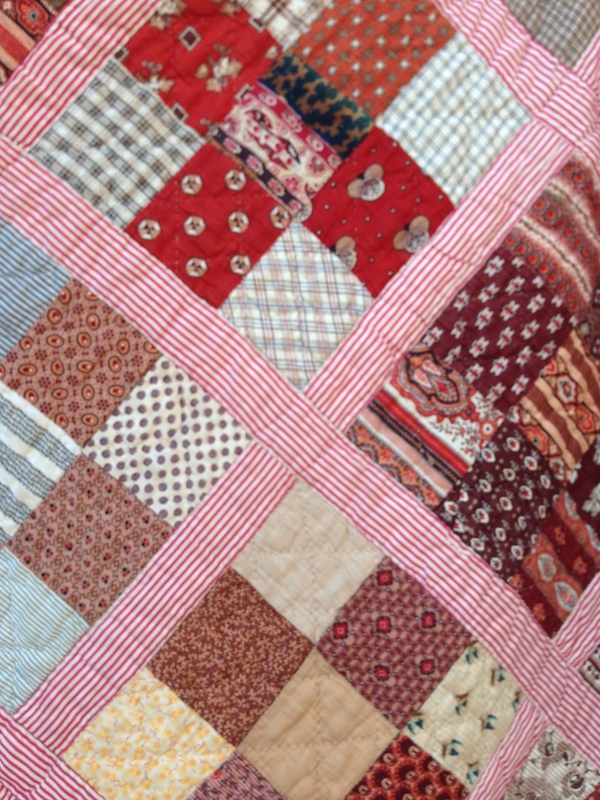 Eileen and Bernie identify this quilt as a ‘Time Span’ quilt. 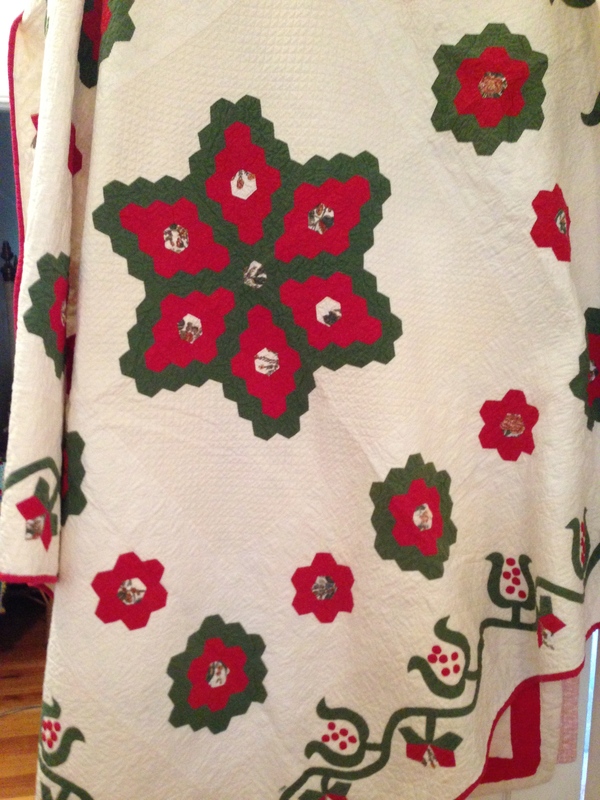 The Donnelly’s date this top as being stitched from Circa 1880 to 1930. 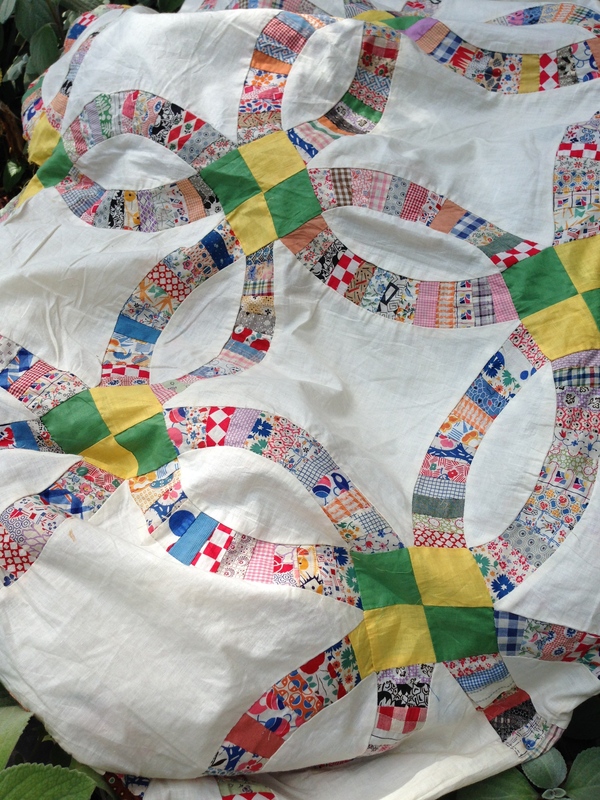 A Time Span quilt is a quilt which has been made over a period of time, and in this case it is over quite a long period. The fabrics appear to be dress cottons including some fabulous shirtings, turkey reds, double pinks, a 30’s dark maroon and some pretty florals, stripes and gingham. 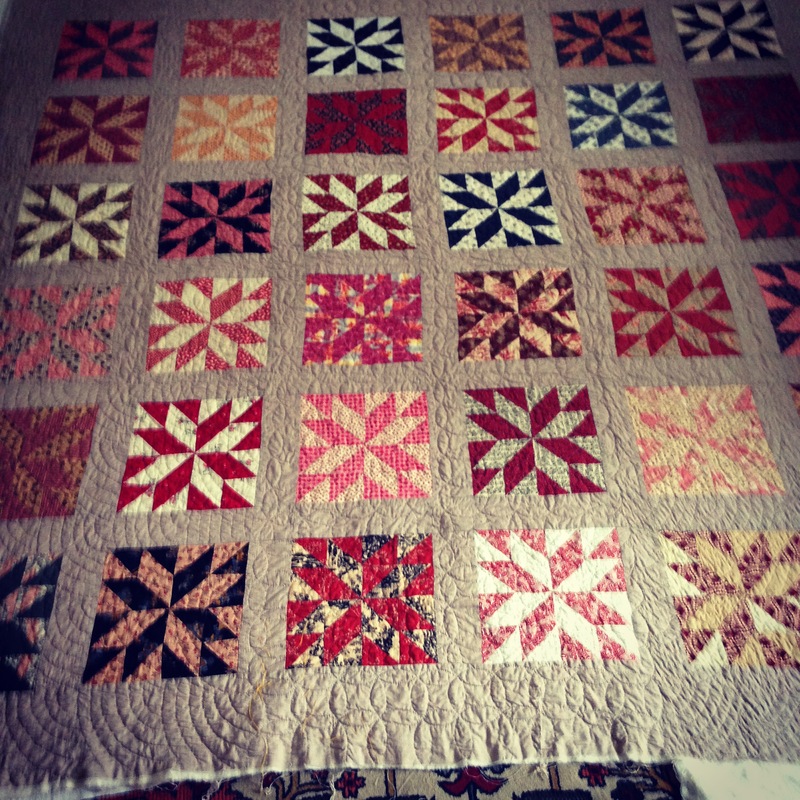 I love the way the maker of this Variable Star quilt placed similar colours together making for a very strong focal point. 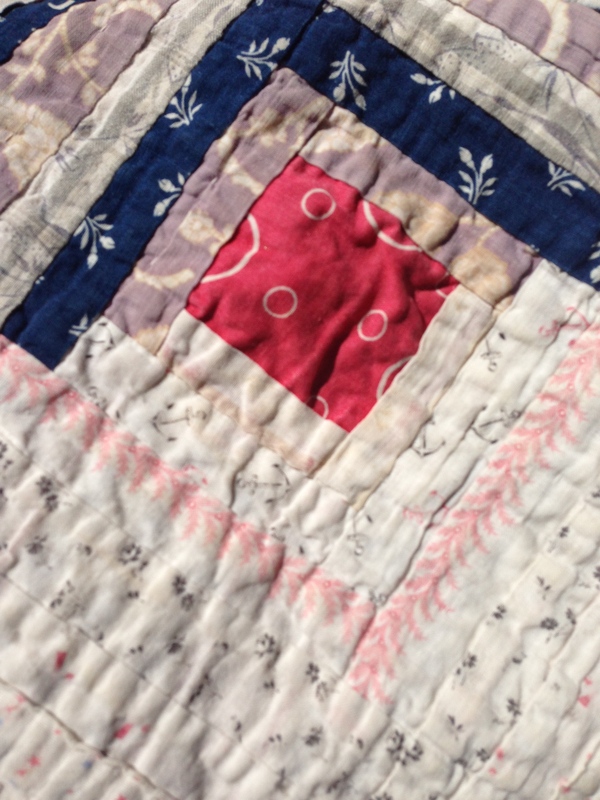 This practice seems to be common in older quilts, whereas today we would place them apart. 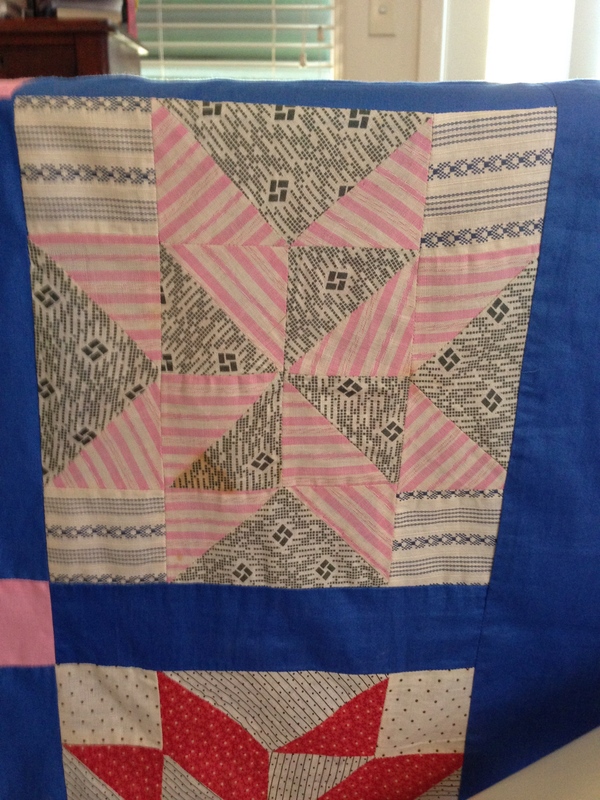 In studying and documenting this quilt Eileen has noted ‘The patchworker has essentially used the same pattern when assembling the blocks but occasionally she seems to have reversed the pieces, and also altered the centre of some blocks. 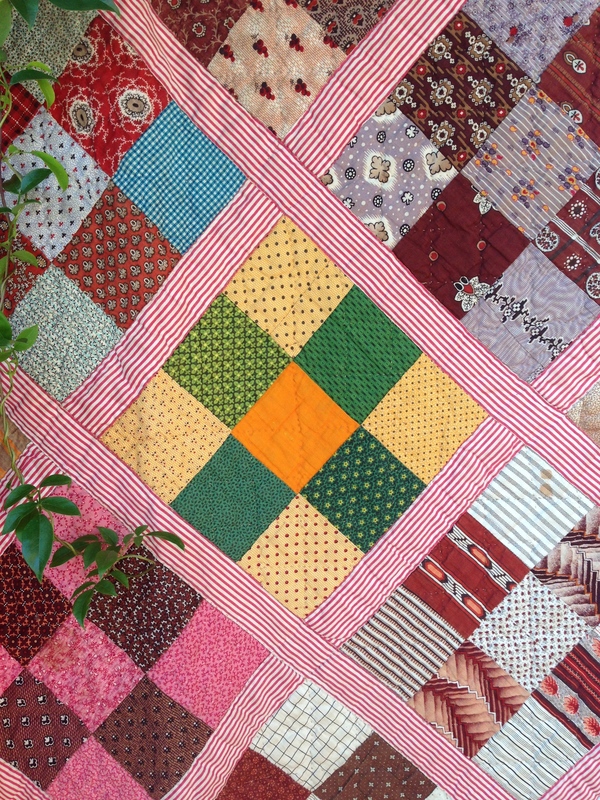 She has therefore created the impression of different block patterns forming the quilt. 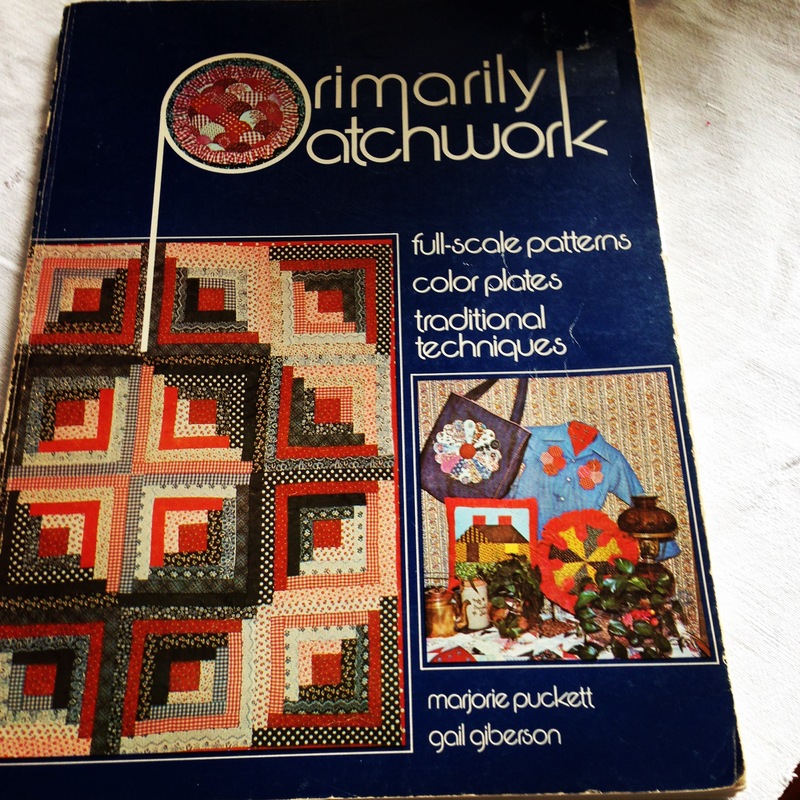 Perhaps, as it took so long to make she made some blocks without looking at the ones already constructed and just forgot which pattern she was following.’ Many of us can relate to this. Also noteworthy is the pink setting squares and bright blue sashes and borders. 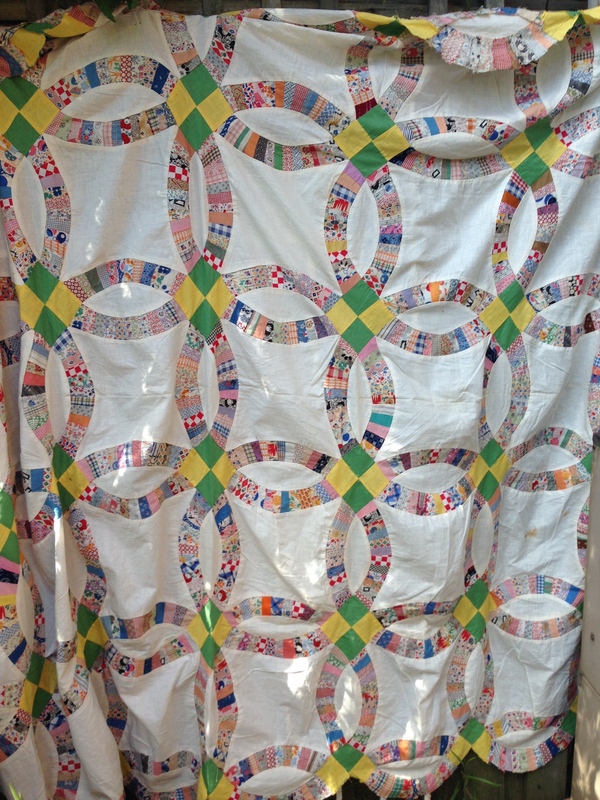 The Donnellys purchased this top from James Carrol through the Quilt Loft at Groton, Massachusetts, USA in 1996. When I first saw the Variable Star top I loved it immediately. 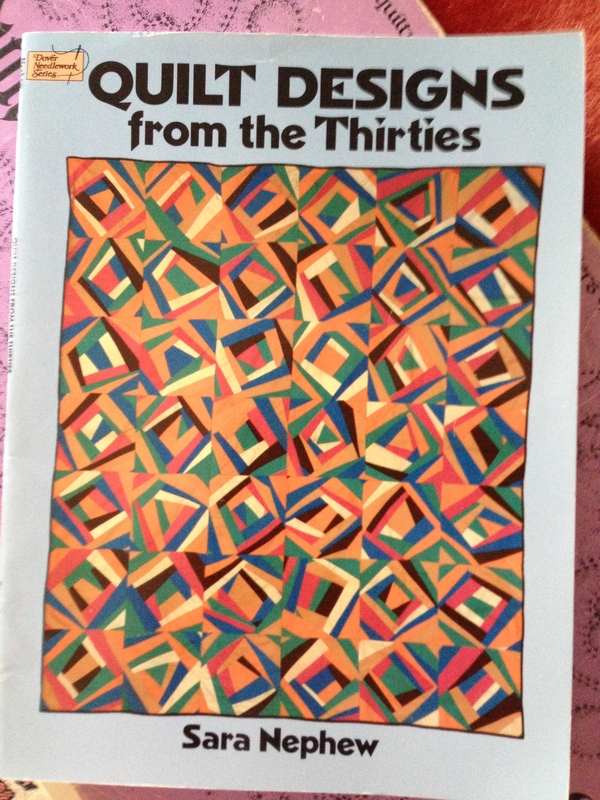 I thought it was the same block that I had used in a quilt I had recently completed. 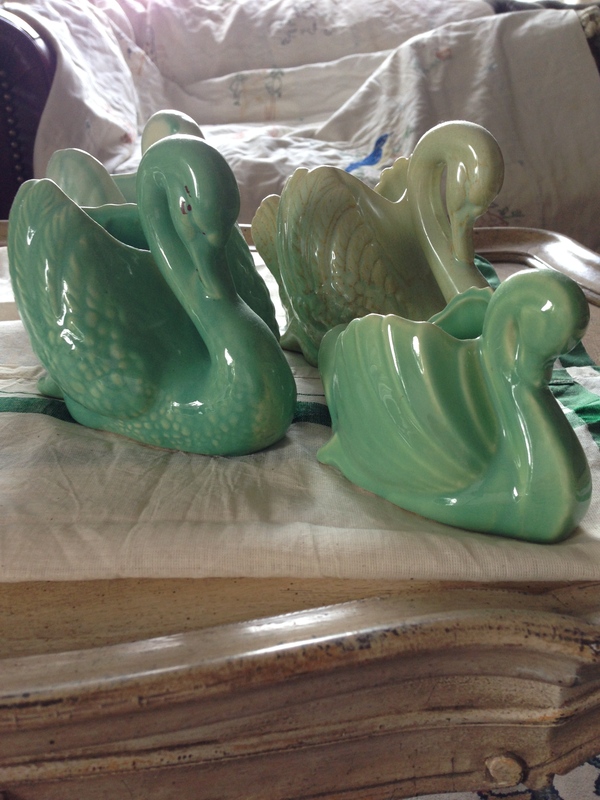 However, on returning home and placing the two together, I realised that my design is another variable. 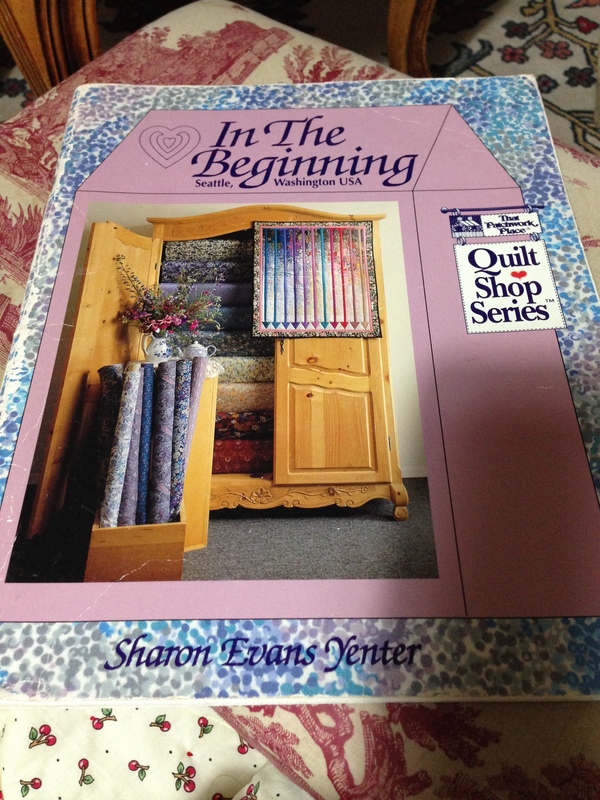 I had long admired this quilt from the book ‘In The Beginning’ published by That Patchwork Place in the Quilt Shop Series and written by Sharon Evans Yenter. 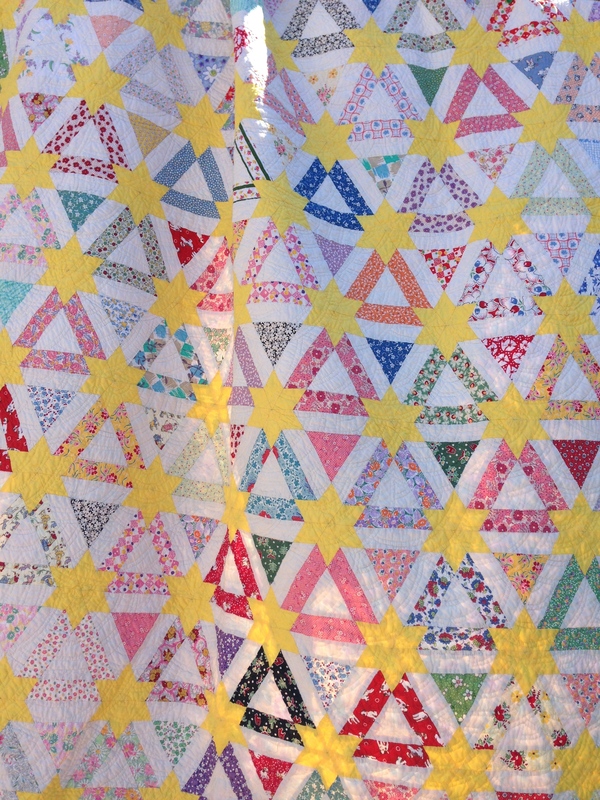 Sharon calls this quilt Constellation Star and I think it is also known as Annie’s Choice. Which ever name you prefer it is a lovely design. 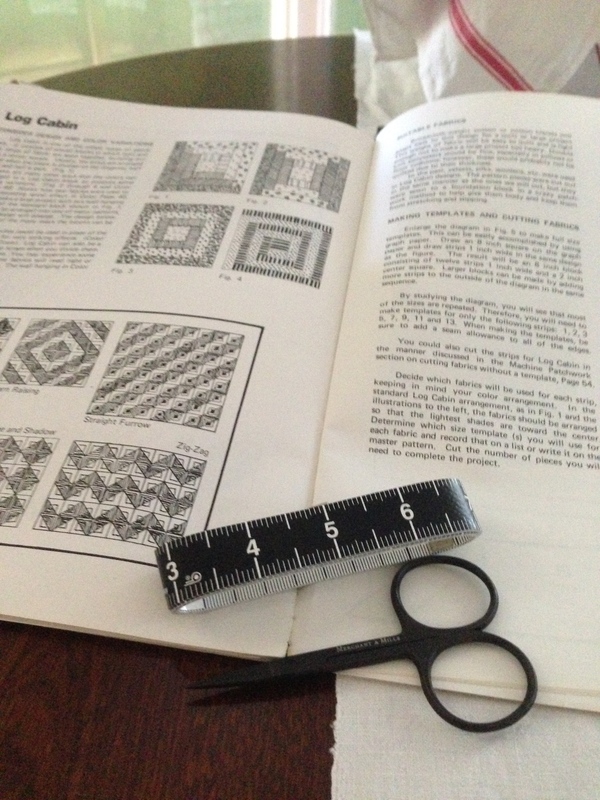 I drafted the pattern for rotary cutting and machine piecing. I made it a fraction smaller to make use of my collection of reproduction fat 16ths. 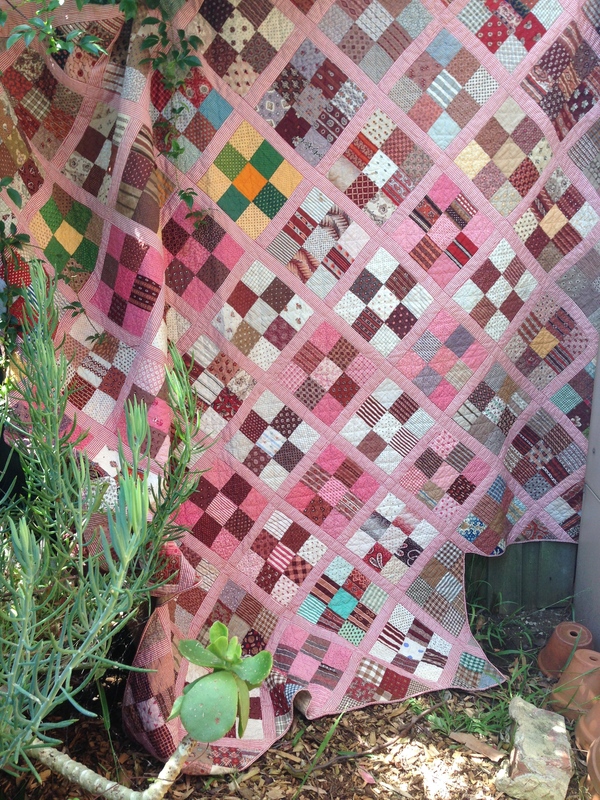 The lattice and borders are vintage fabric that proved difficult to hand quilt, but the colour is just perfect. 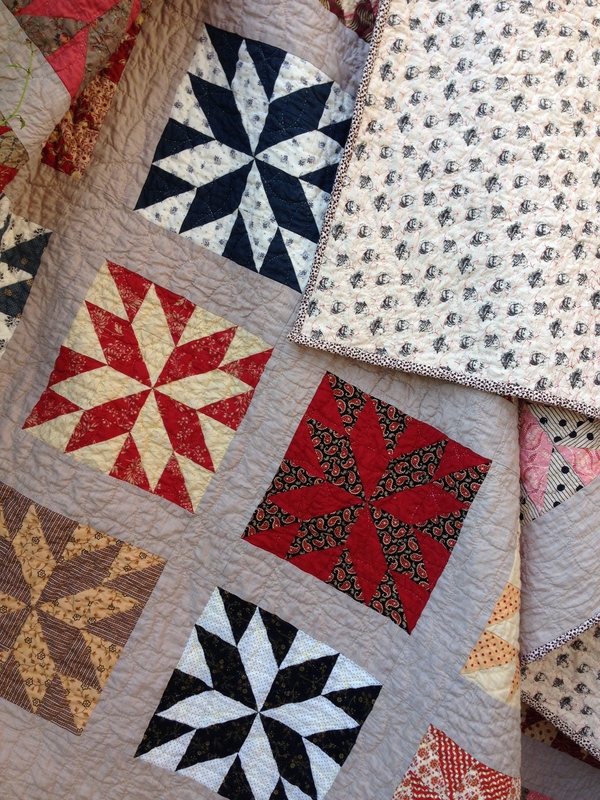 As my block is smaller than Yenter’s I made 36 blocks, which is the same number as in the Variable Star quilt top. 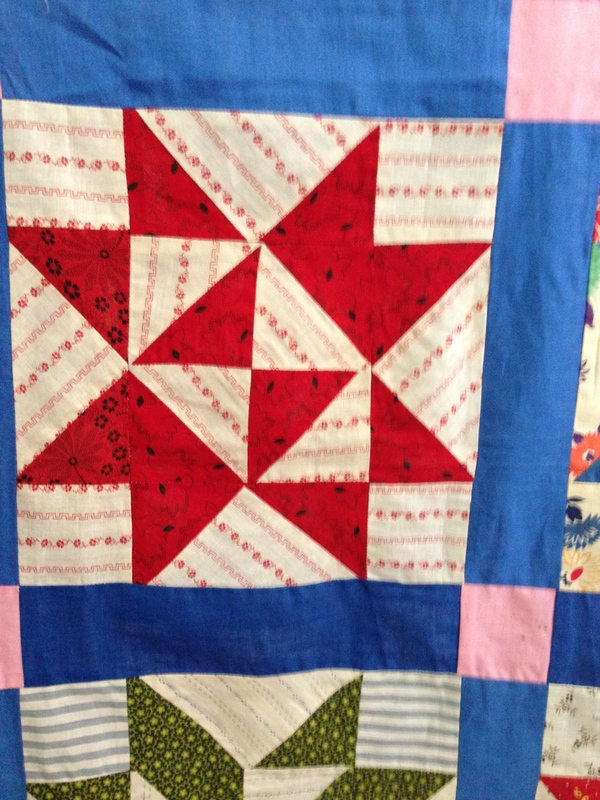 The Constellation Star Quilt is dated Circa 1910. 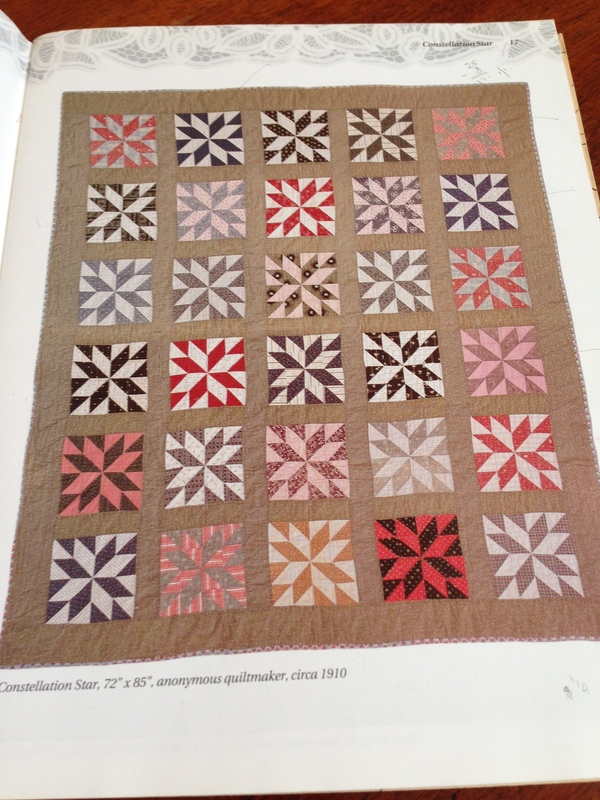 Perhaps there are similar fabrics as in the Variable Star. 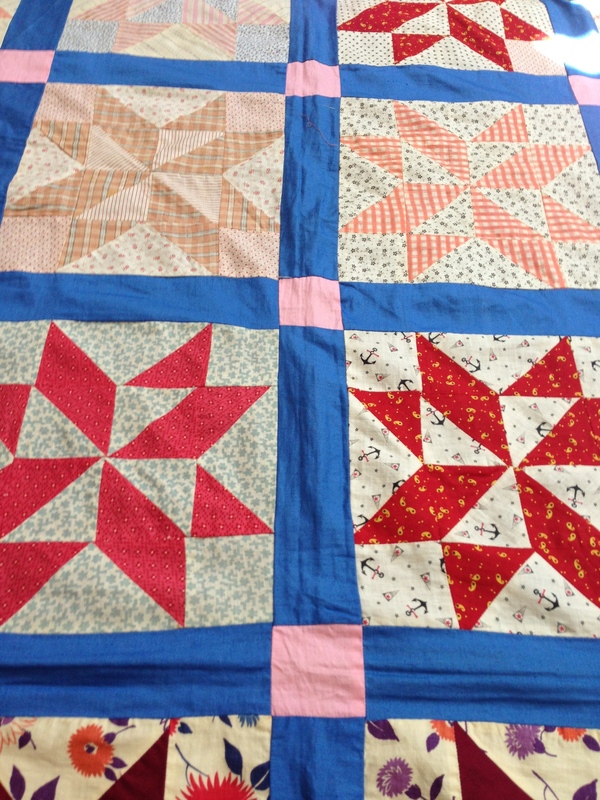 I think my Constellation Star Quilt could be described as a ‘Time Span’ Quilt as well. 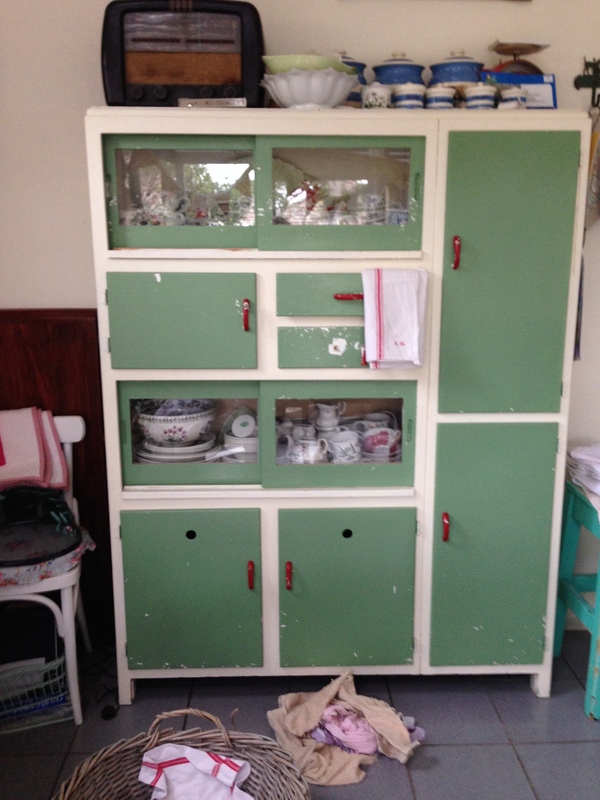 It contains some vintage fabrics, including shirtings. 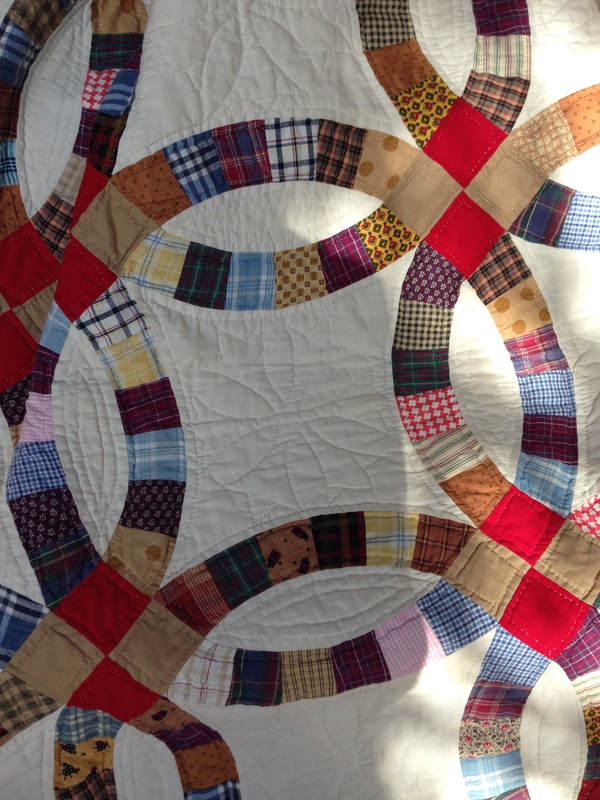 It has been inspired by an old quilt from a book that was first published in 1992. 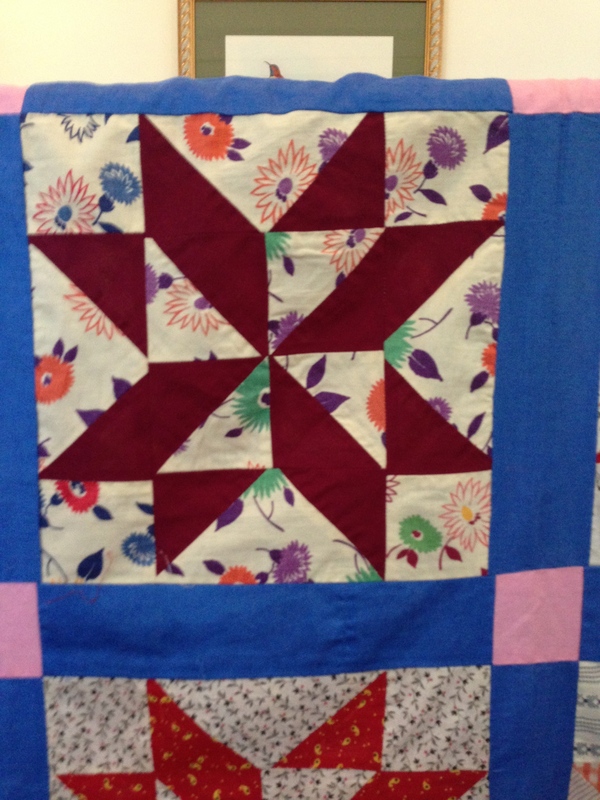 I pieced and quilted the Constellation Star during 2013 and 2014. 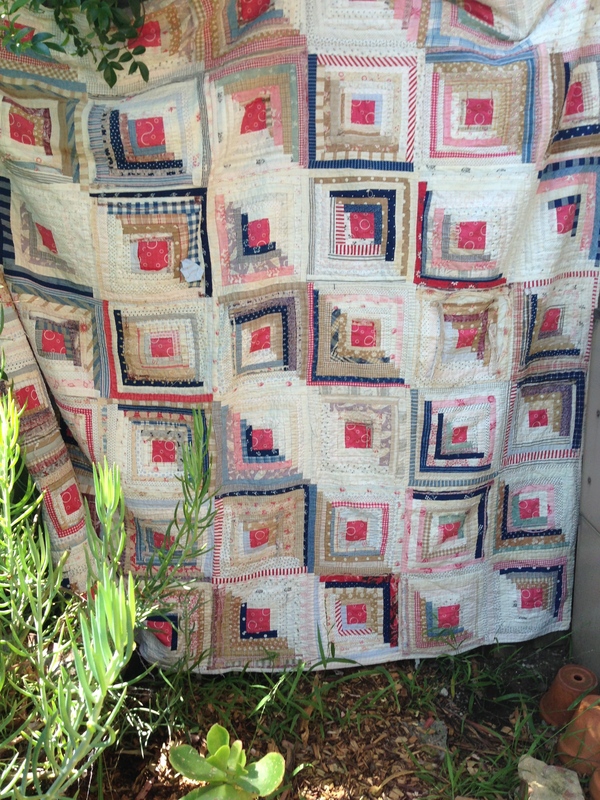 This is one of my favourite quilts made from vintage and reproduction fabrics. 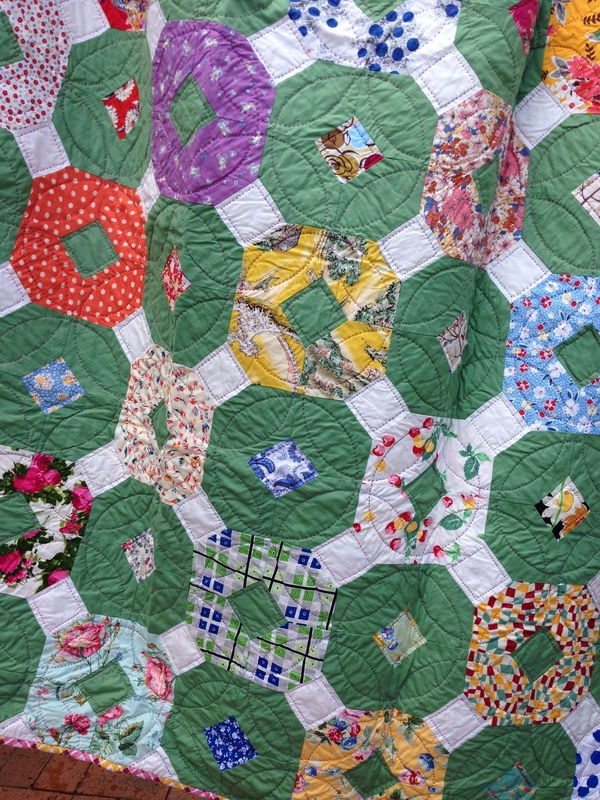 The name of the quilt design was obviously inspired by the old irons that were heated up on the wood fired stoves. 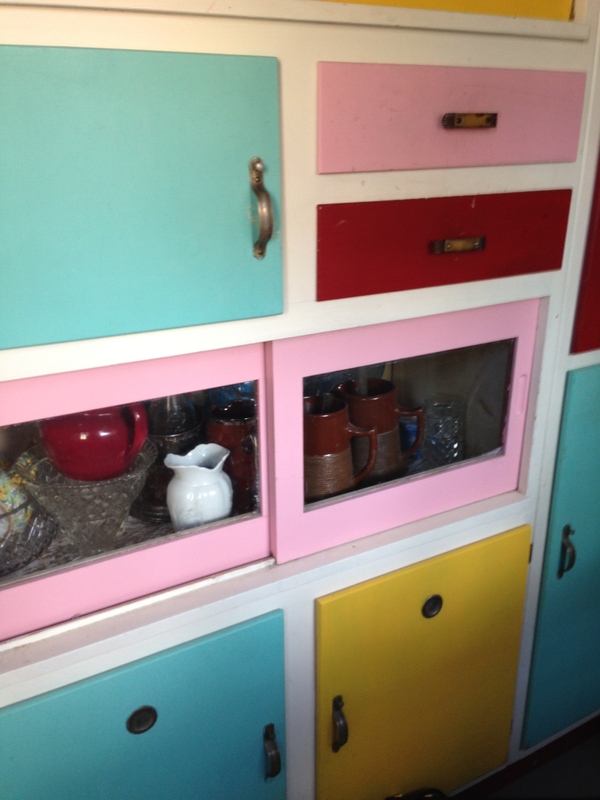 I remember my Nanna using these. Nanna Ivy Dawkins Myers, was a luddite and still used these irons up until her passing in the 1960s. 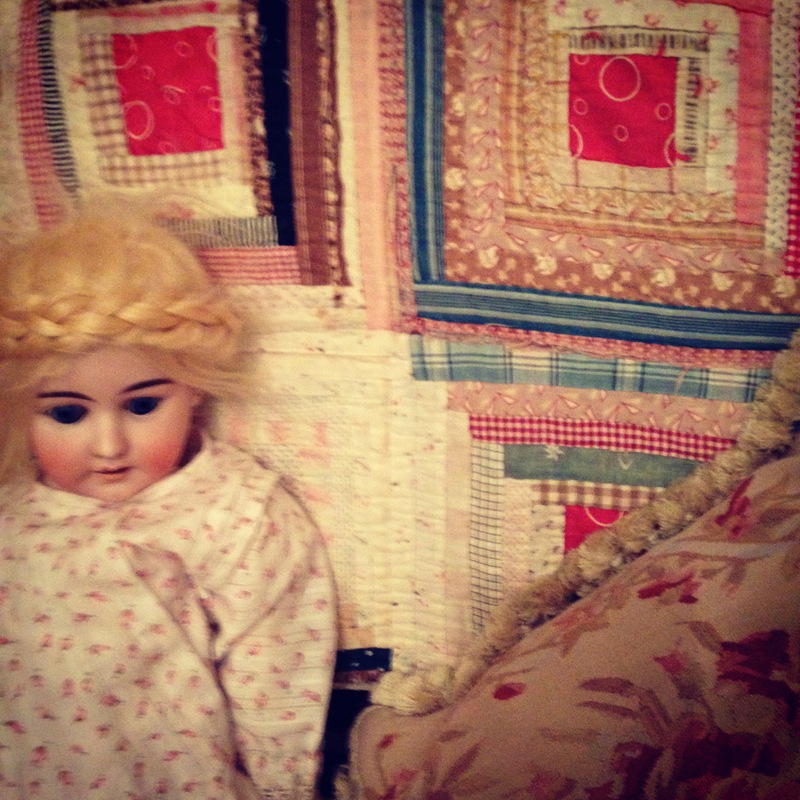 Nanna always had two or three on the stove top with a piece of flannel wrapped around the handle. As one iron cooled, it was replaced with one from the stove top. There is a lovely old folk song called Dashing Away With The Smoothing Iron. 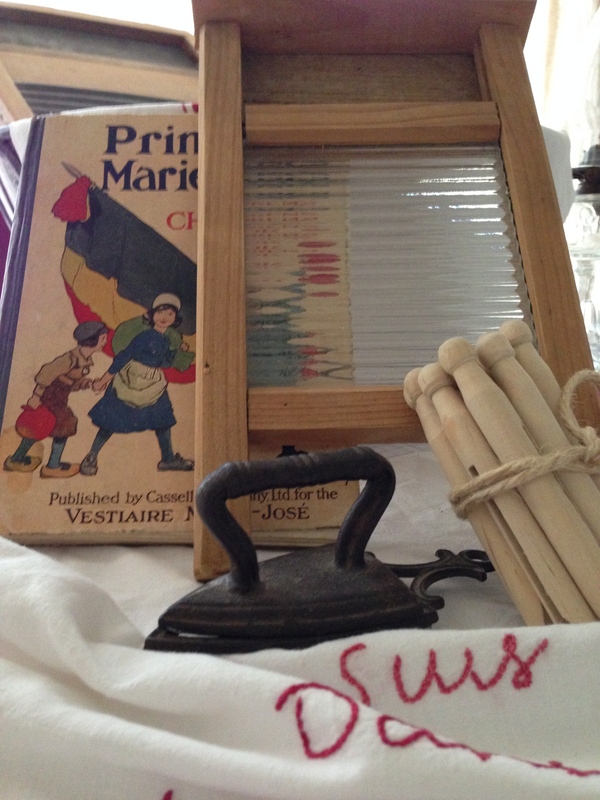 It commences with “Twas on a Monday morning……….A-washing of her linen and continues on through the days of the week until Sunday when the maiden is wearing her neat, clean linen. 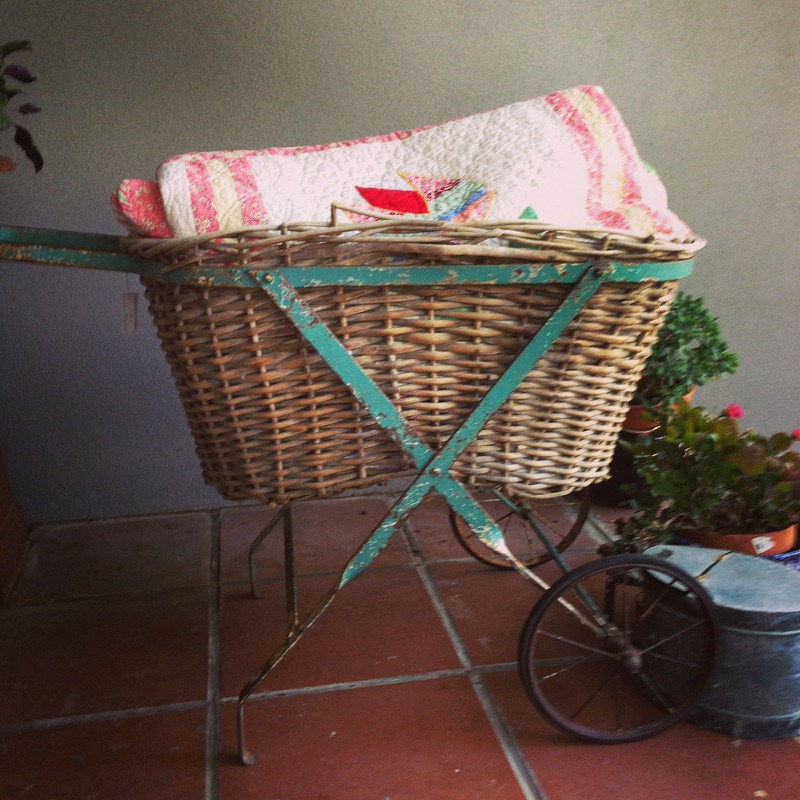 Even though we now have efficient washing machines and irons the cycle still continues. 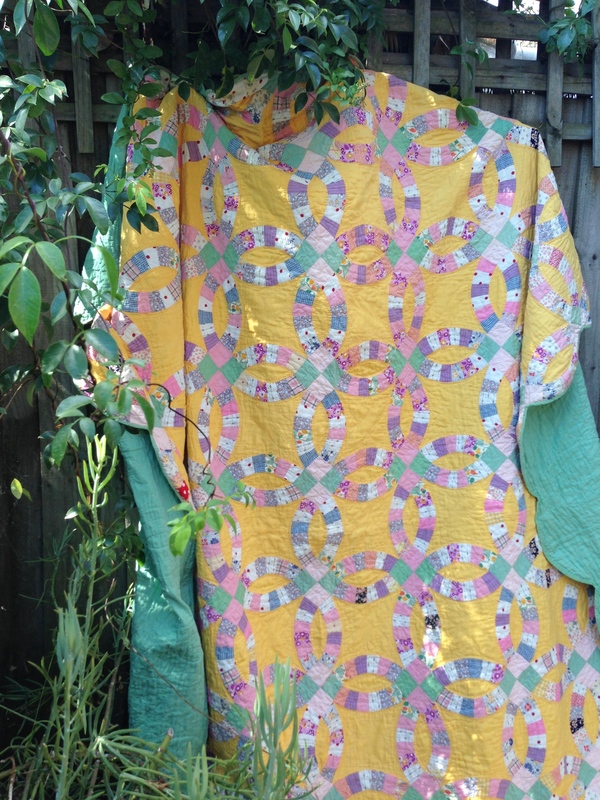 I hand stitched my quilt and hand quilted it with my favourite quilting design – The Baptist Fan. 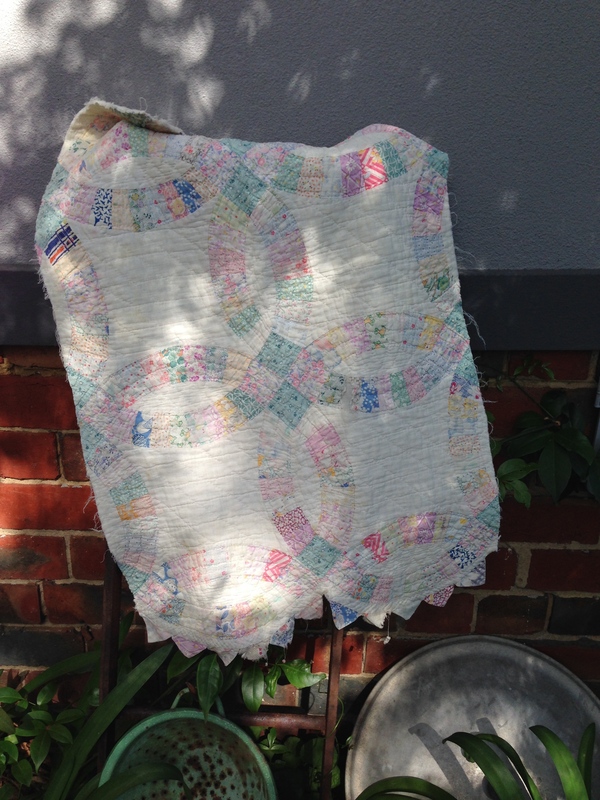 The fabrics are reproduction, vintage and a couple of feed sacks as well. 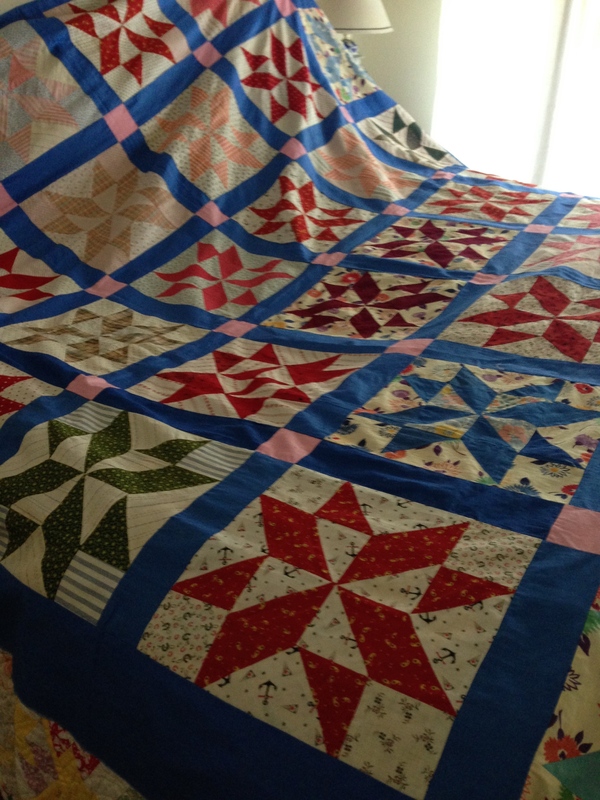 I pieced the quilt in rows and when the rows are joined the stars appear. 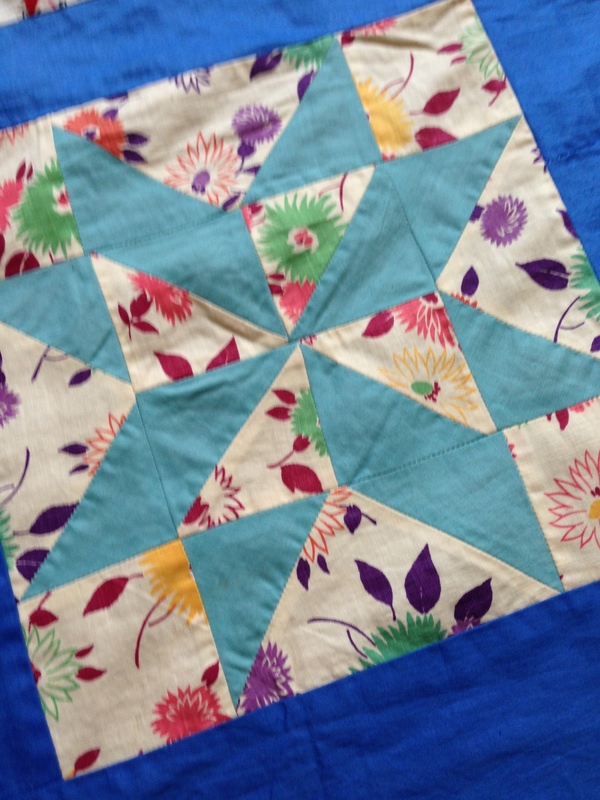 Star quilts are a great favourite of mine too. 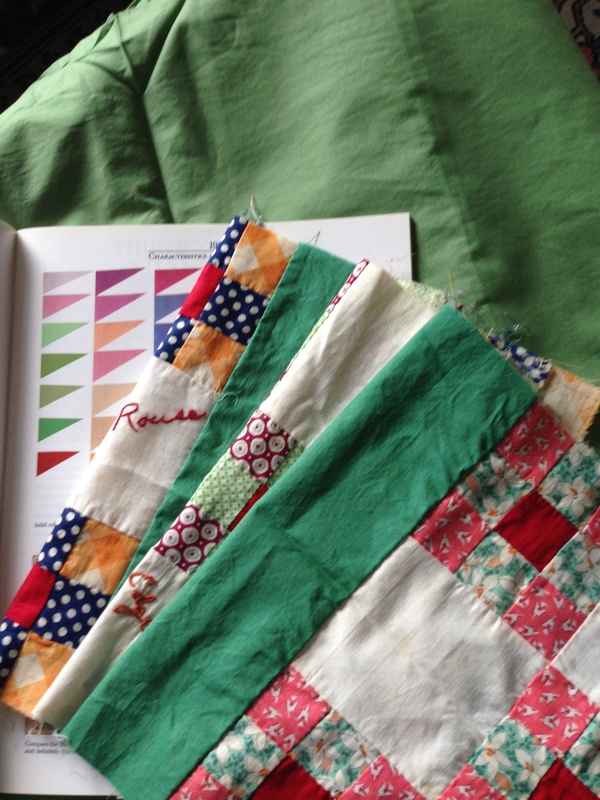 A Seven Sisters quilt top is next in line for quilting. 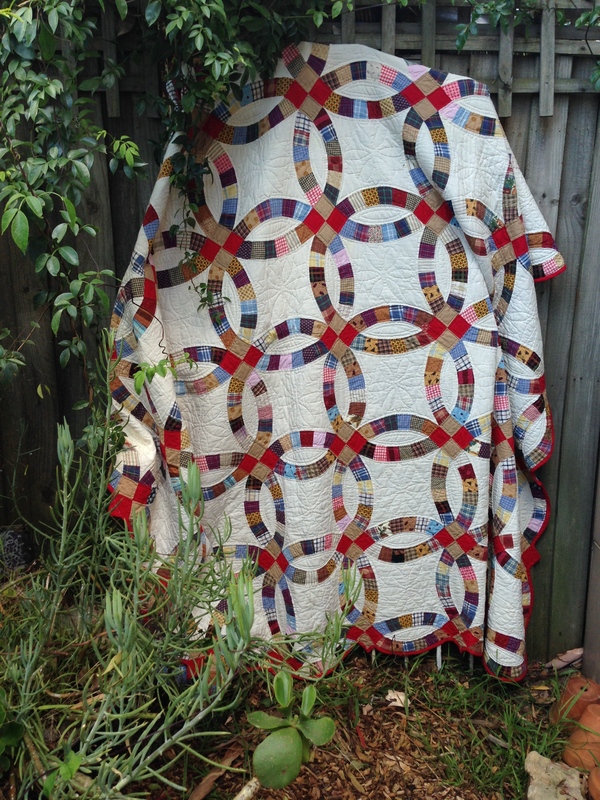 I will also be quilting this the Baptist Fan. 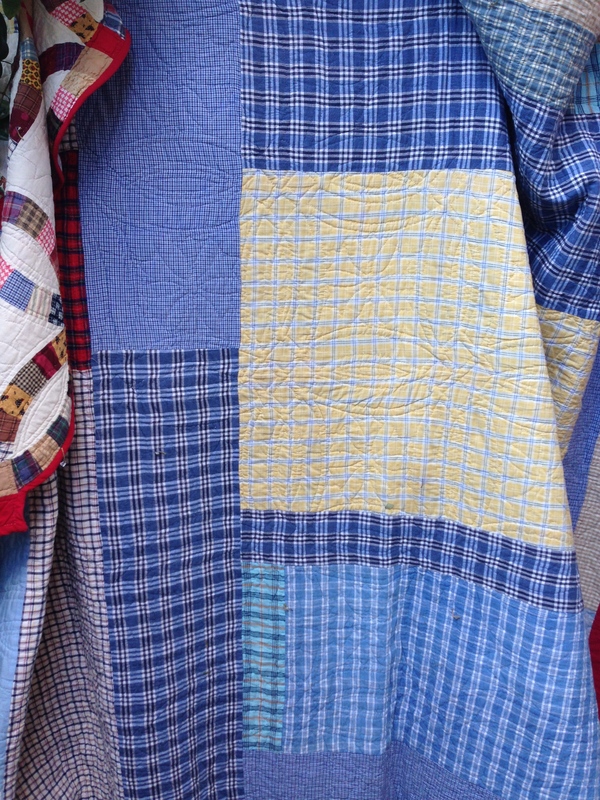 This quilting design suits the old style of quilt making very well. 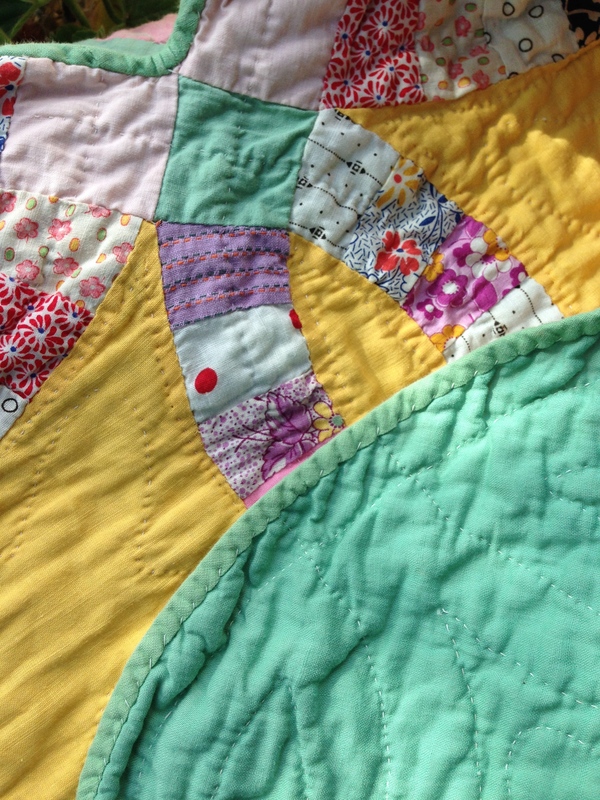 It is also quite quick to quilt and makes for the most pleasurable hand quilting I know. 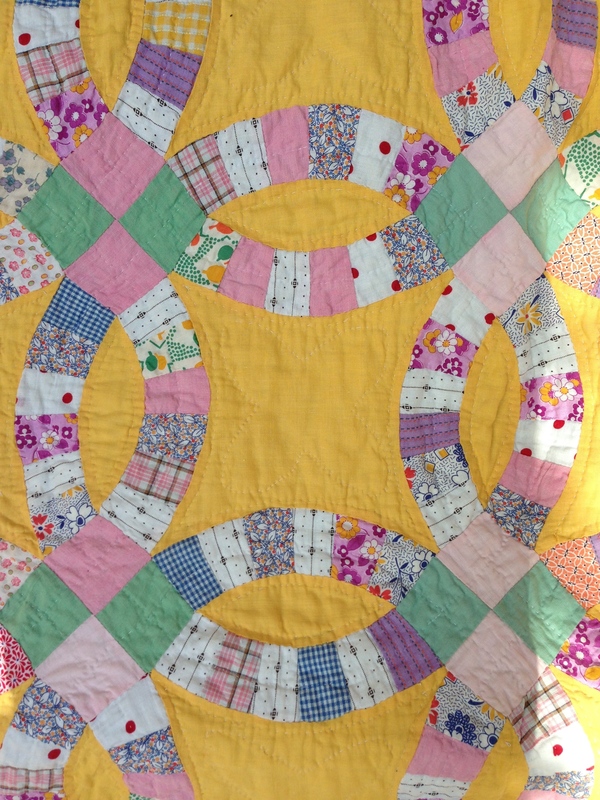 Seven Sisters – love this design – next quilting project. 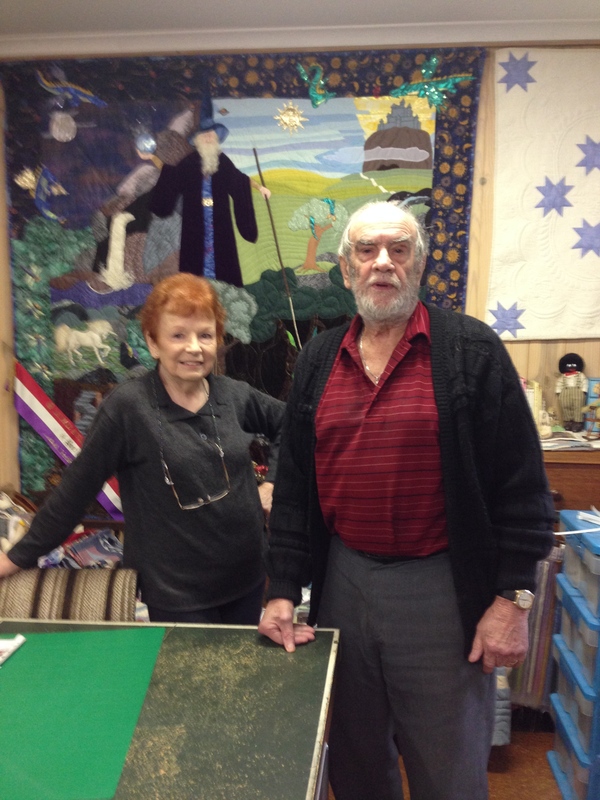 Thank you for visiting, hope you enjoy the quilts and their stories.